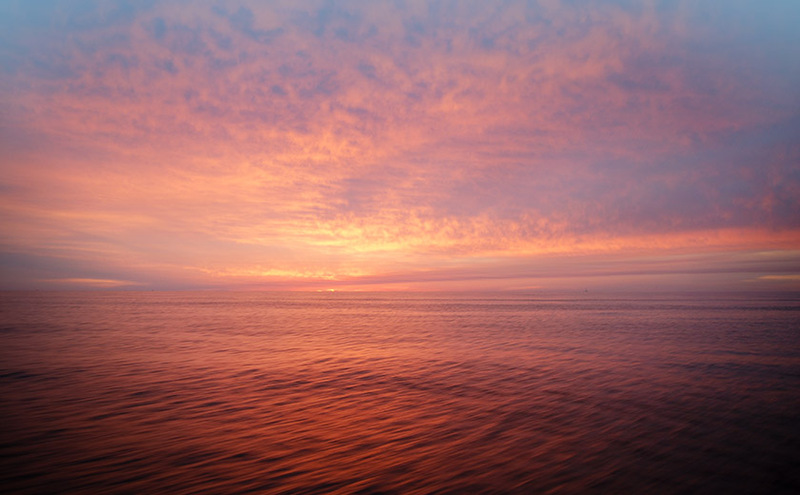 Kevin Beach says: I love coming to work every day, to my “corner office” on the sea, because no two days are the same. Dozens of factors impact what fish do, and it’s a challenge to figure out where they’ll be, what they want to eat, and what presentation they prefer. What makes me even more passionate about my work? 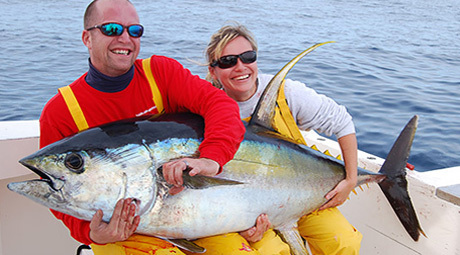 Watching clients experience “firsts.” Their first tuna catch, their first time seeing blue water, their first flying fish chase, their first encounters with whales and porpoises…I feed off their energy and excitement every day. Want to experience a trip with Capt. Beach? I’ve been told that I’m more animated than most veteran captains, which I take as a high compliment. Maybe I’m just a big kid, trapped in a man’s body, but I enjoy working hard and playing hard, harnessing the good and blocking the bad. respect the resources we’re fortunate enough to enjoy. Born and raised in Metairie, Louisiana, I’ve been fishing the Venice area for more than thirty years. I grew up with one sister and five brothers, and fishing was the only thing I could do better than all of my brothers. I stuck to it, and when I was twelve or so, I started wanting to know why fish were found where they were, why they were doing what they were doing, how I could improve as a fisherman. Something clicked for me, something that’s still there. I’ve been a full-time guide for fifteen years, and I’ve been a First Mate on a 112-foot boat and Captain on 26-foot, 30-foot, 37-foot, 42-foot, and 61-foot boats. 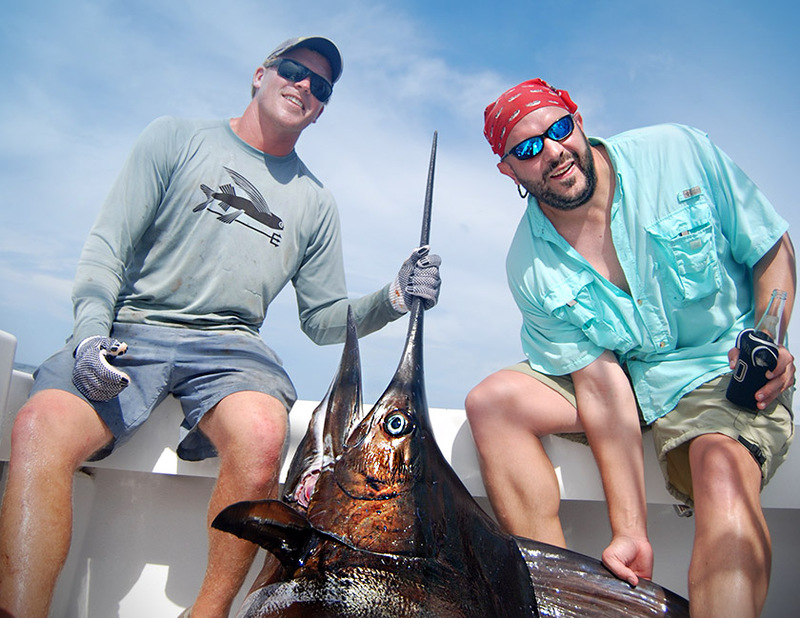 I’ve won my share of tournaments, but my most notable catch was a 765-pound, short-fin Mako shark, a feat that currently qualifies as a state of Louisiana and Gulf of Mexico record. 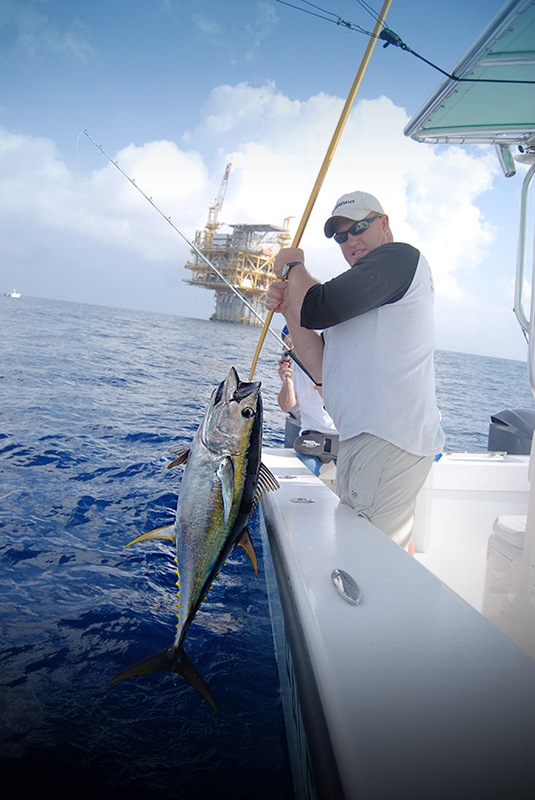 In 2006-2007, I was part of a team that conducted the most comprehensive yellowfin tuna study ever conducted in the Gulf of Mexico. 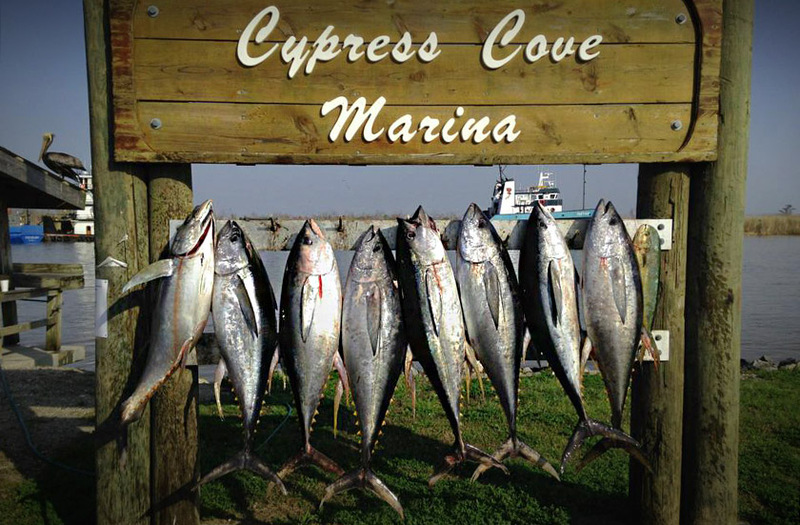 We tagged more than 130 yellowfin and tracked their movements and depth patterns along the Louisiana Coast. Another amazing milestone for me: I was the first boat to ever video a live birth of a sperm whale in the wild. 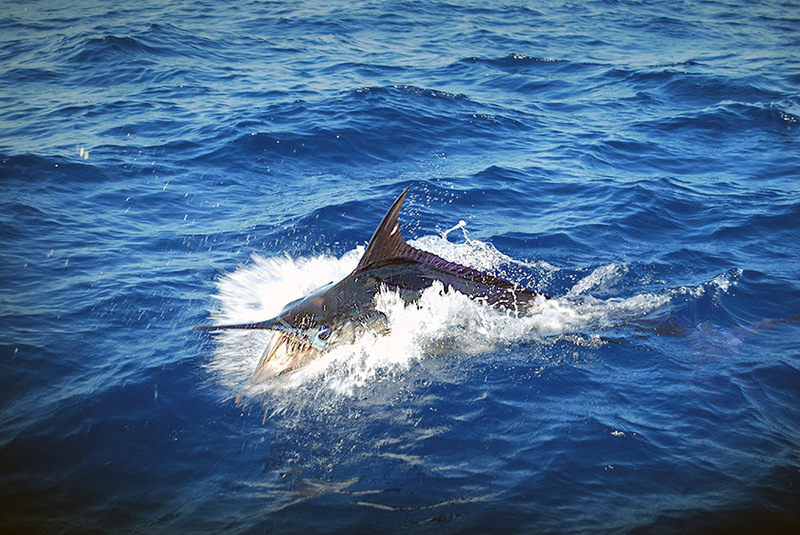 My main hobby is fishing – what else could it be? I’m an avid spear fisherman, and I enjoy tank-diving for reef fish, as well as blue-water, free-diving for pelagics. On land, I switch to hunting deer with bows and chasing ducks in the marsh. My wife Jennifer and I have two children, and my primary goal is to perfect the balance of being a great fisherman, while being a great husband and father. Out of the thousands of clients I’ve had the pleasure to meet, two stand out in particular, one representing the beginning of my career, the other more recent. 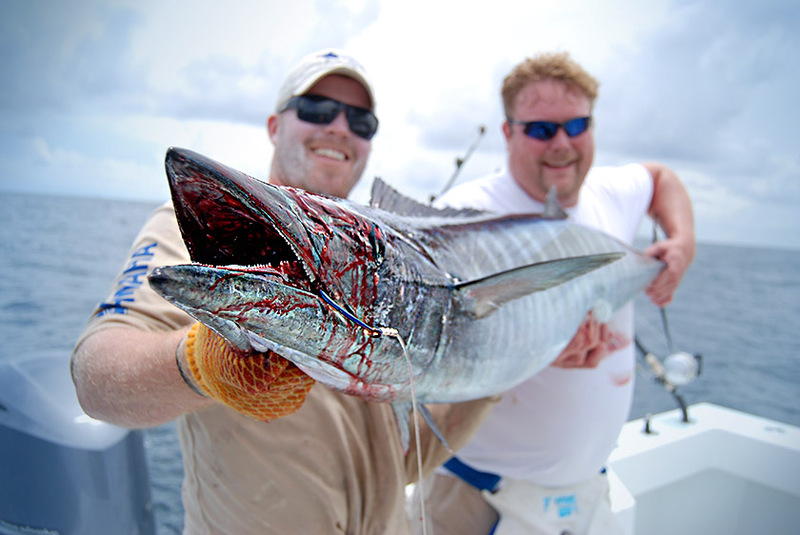 The first was a young boy, Lawson, who caught his first tuna and decided to cover his 55-pound body in its blood. He proceeded to walk around the boat flexing his muscles and screaming at the top of his lungs, like a WWF wrestler. It was something! The other client who made a huge impression on me was an eighty-three-year-old man from Alabama. With one of his lifelong fishing/hunting buddies, he showed up full of “piss and vinegar” and ready to whoop on some tuna. He’d skipped his chemo treatment to come fishing. 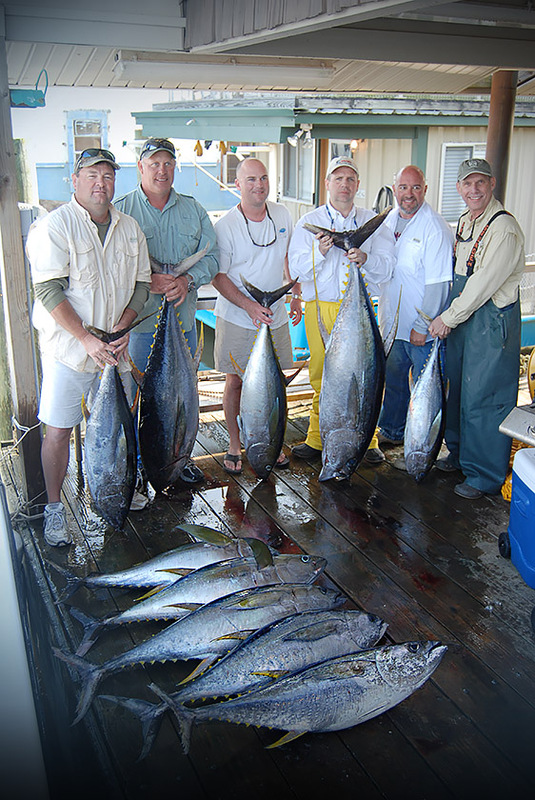 The real miracle is that he and his eighty-one-year-old friend each landed two tuna that weighed more than 100 pounds. Neither fellow ever complained or passed the rod, and I don’t think the fisherman with cancer made it much longer. It was a privilege for me to share the day with him! First trip, last trip, or any trip in between, I love them all, and I feel lucky to be able to do what I always dreamed of doing…fishing every day! 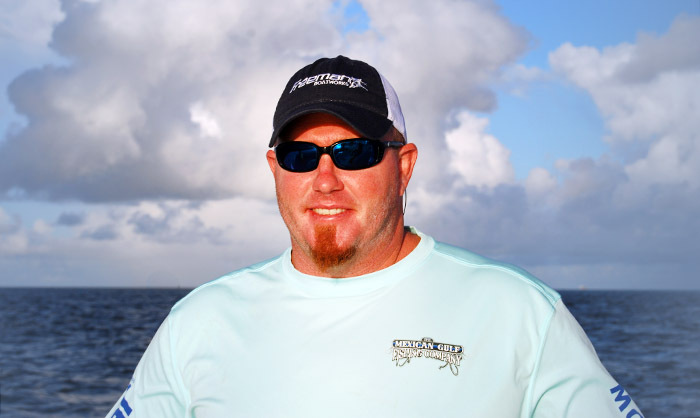 Do you want to fish with Kevin Beach? 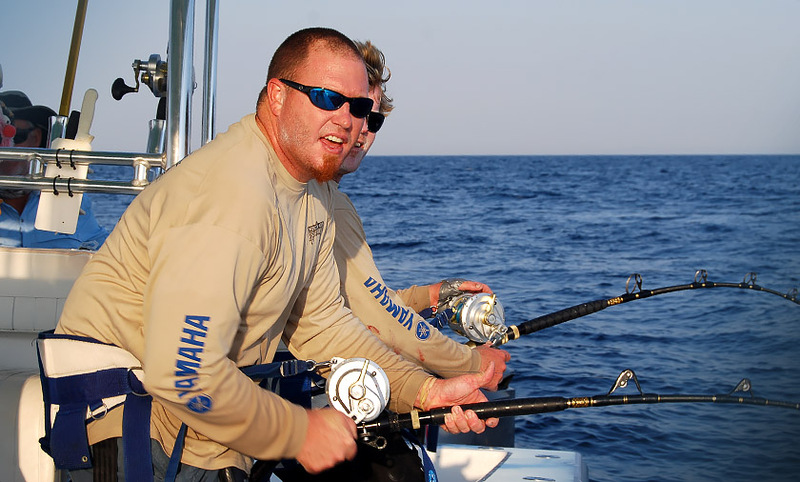 Then follow this link, and book an offshore charter with Captain Kevin Beach at MGFC today. Trips are $2,000 + fuel per day. Fuel averages 275 – 300 gallons each trip. Note: Deposits must be made online, and a 4% processing fee is added to all credit card orders. Deposits must be paid by credit card. Balances on each trip may be paid by cash or credit card.